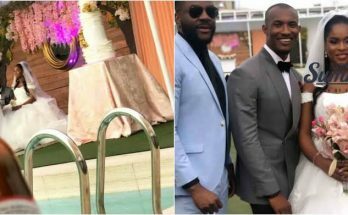 Overjoyed founding president of Believers’ Loveworld Incorporated, also known as Christ Embassy, Chris Oyakhilome couldn’t hide his joy at daughter’s wedding as he showed off his ‘shaku shaku’ moves. 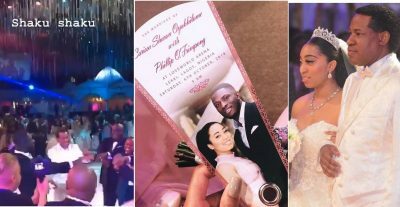 Popular Nigerian pastor, and founding president of Believers’ Loveworld Incorporated, also known as Christ Embassy, Chris Oyakhilome showed his amiable side as he gave out his first daughter’s hand (Crissa Sharon) in marriage, to Ghanaian born, Phillip Frimpong in holy matrimony. The elaborate ceremony which took place on Saturday the 6th of October, saw the man of God showing off his ‘shaku shaku’ moves on the dancefloor. 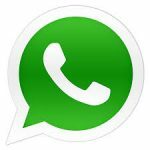 It was gathered that after the church service, the wedding guests were treated to a royal reception and one interesting highlight of the evening was the dancing session where Pastor Chris was spotted hilariously dancing ‘shaku shaku’ with his daughter and son-in-law. The well-celebrated wedding held at the Christ Embassy Headquarters in Lagos and had in attendance Pastor Benny Hinn who officiated over the ceremony.